With weather reporters saying it’s going to be the coldest winter in the past decade I’m sure you’ll be making the most of your warm flat, so why not spice up your typical friday night dinner with a fun meal! You can make a night of it by inviting some friends over to help cook or even just surprise a loved one with an impressive 3 course meal. Listed below are recipes perfect for staying warm during a harsh winter. 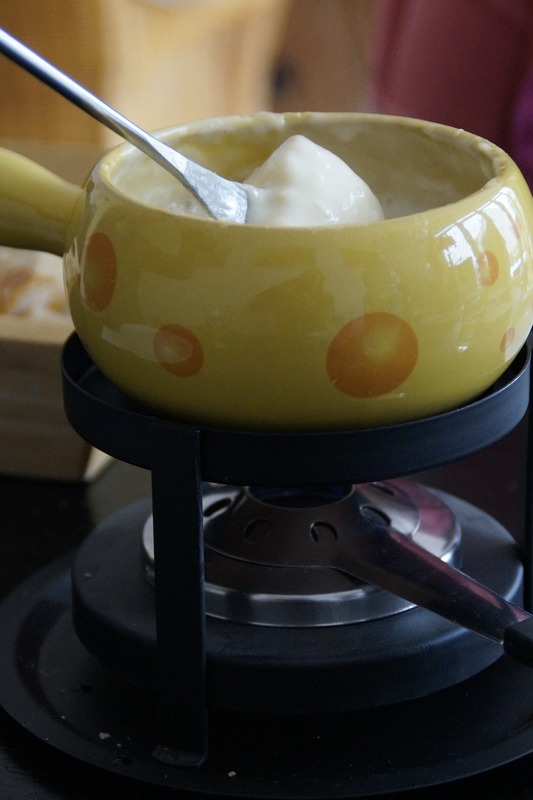 Starting with the appetiser, a cheese fondue is the perfect warm yet rich and satisfying option! Loaded with cheese, what more could you want in a dish? Since you don’t want to fill yourself up on the appetiser, veggie sticks are a better choice as they aren’t as heavy as bread. Heat a saucepan over a medium heat then add 225ml milk and 2 tsp Worcestershire sauce. Heat until the mix begins to simmer. Crumble 230g Swiss cheese and 230g grate cheddar cheese into a separate bowl then add 1 tbsp cornflour. Place on the lid and shake well, ensuring all the cornflour is disbursed equally amongst the cheese. Begin gradually adding the cheese, making sure to stir the mix thoroughly between each quantity added. Continue to stir the mix until all the cheese has melted then add 1 tsp garlic powder and 1 tsp yellow. If you want a stronger, richer flavour swap yellow mustard for English mustard. Stir the mix until smooth and continue to cook until the mixture is at the preferred consistency. Remove from the heat and transfer into a slow cooker/heated bowl, then serve with sliced peppers, apples, celery and carrots. After that delicious fondue, the only way to top that is MORE CHEESE! Although it might sound a bit over the top, the ratio between the veggies and the cheese in the pasta bake balances out the meal. Preheat the oven to 200c then boil 500g pasta according to its instructions then set aside in a large bowl. Fry 400g of mushrooms and ½ medium onion together in a frying pan with a splash of olive or butter. Cook until the onions are brown, and the mushrooms release their liquids. Drain the excess liquid off and add them to the pasta. Boil your broccoli and peas together in a saucepan according to the instructions (typically 10 to 15 minutes) then drain. Add them to the pasta then the mix together until thoroughly combined. Add seasonings then stir thoroughly until the mix is equally seasoned. Make the cheese sauce according to the instructions then pour gradually into the pasta mix. Stir thoroughly. Grate 350g of cheddar cheese and place aside. 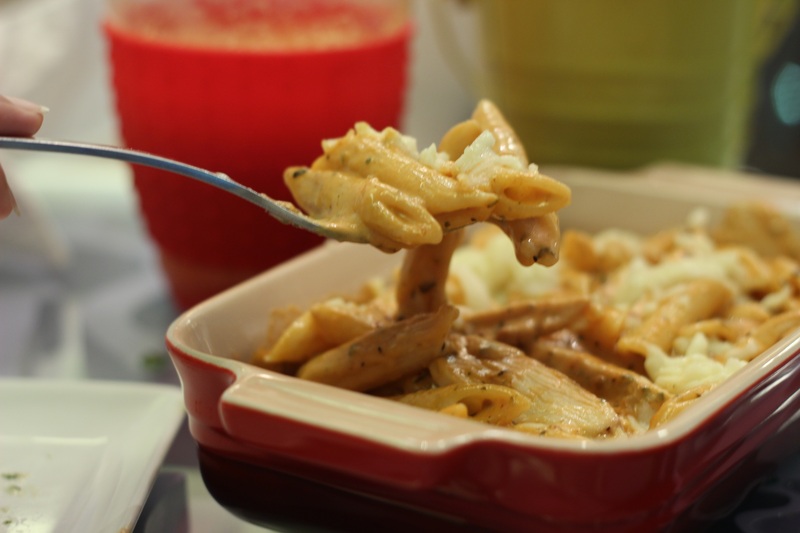 Spoon ½ of the pasta mix into a large oven safe dish then sprinkle a layer of cheese on top. Repeat with the second half of the pasta mix. Place the pasta in the oven for 20 minutes, rotating the dish after 10 minutes to prevent the top layer from burning. Remove from the oven and serve piping hot. Last but definitely not least, dessert! 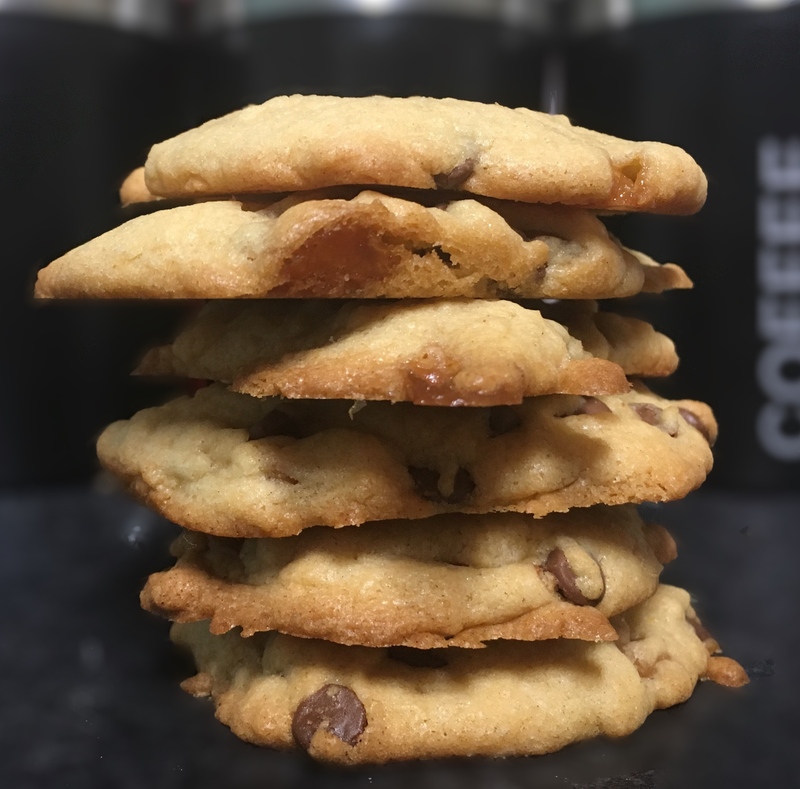 You can’t finish a meal without dessert, and what’s better than a warm and chewy chocolate chip cookie! With the perfect balance of soft on the inside and crunchy on the outside, this recipe is a must try. Preheat the oven to 180C and grease two baking trays with butter. Place 150g of room temperature butter, 80g of golden caster sugar and 80g light gold sugar into a bowl then beat other until creamy. Beat together 1 large egg and 2 tsp vanilla extract in a separate bowl before gradually beating them into the mixture. Sift 225g self-rising flour and ¼ teaspoon of salt into the mixture and mix together with a large spoon. Add 60g of plain chocolate chips and 60g of fudge chunks to the mix and stir well, making sure they are thoroughly mixed into the mixture. If you want a healthy like alternative, why not try oatmeal and raisin? Just swap chocolate and fudge for 80g Oatmeal and 60gs raisins. Using a tablespoon scoop the mixture onto a baking try, making sure each scoop is at least 4 cm apart. This should make around 20 cookies. Bake for 9 minutes or until the cookies are lightly browned but still slightly soft in the centre. If you want to check if the cookies are done, gently pierce of the one with a knife or kebab stick. If the knife has dough on it, keep the cookies in the oven, if the knife is clean they are done and ready to be take out the oven. Leave the cookies on the tray until they are cooled then enjoy! These 3 recipes are perfect for any event, so whether you’re entertaining guests or staying in with your family/flat this autumn, these simple sharing delights bring warmth and fun to any occasion!